Midwest Small Breed Rescue is a non-profit 501(c)3 volunteer-based rescue for small breed and mixed dogs. We do not have a shelter. All of our dogs are housed in experienced foster homes where they receive love and care until they find that special home to call their own. Prior to adoption, all dogs receive necessary medical treatment and vaccines. All dogs will be spayed/neutered before adoption except for puppies who will be adopted on a spay/neuter contract. Most of our rescued dogs come from local Humane Societies and shelters in the Metro-Detroit area. 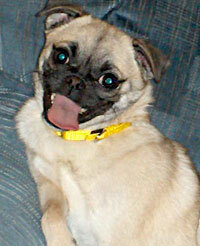 We also receive dogs from shelters and puppymills in Ohio, Indiana and Missouri. Some dogs come to us with medical problems such as broken bones, severe eye injuries, etc. These dog receive the medical care they need and then we nurture them back to health. Many of the dogs we rescue were minutes away from euthanasia.